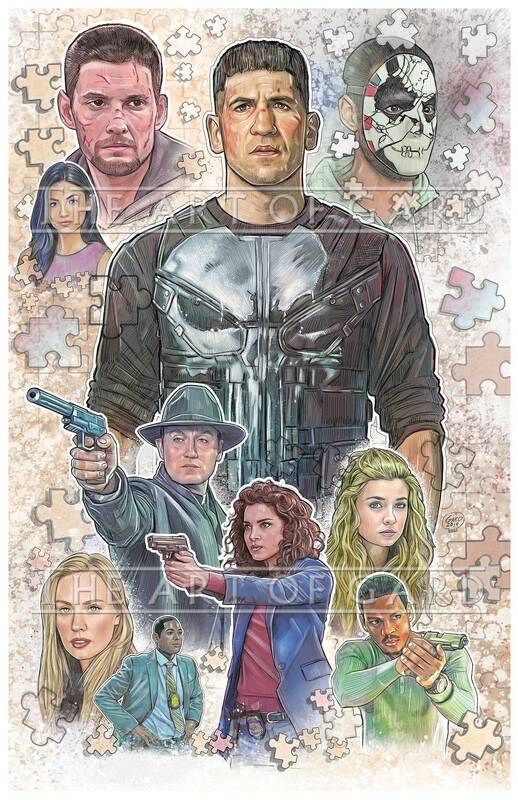 This is my digital drawing of The Punisher Season 2 cast. I created it on Adobe Photoshop CC using a tablet. The print will be shipped with a backing board and clear bag. It will also be signed by me.